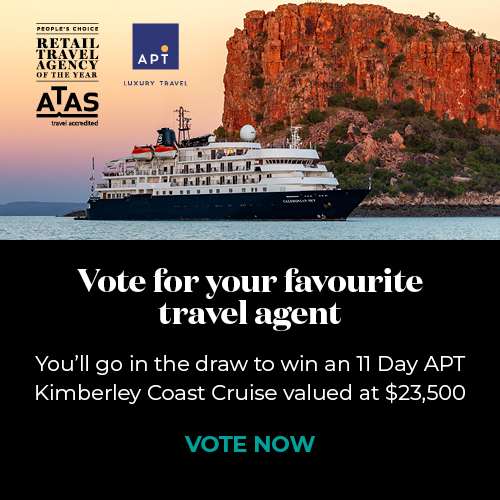 The Australian Federation of Travel Agents helps ensure that travel agents across Australia are held to the highest of standards with their Travel Accreditation Scheme (ATAS). Providing a seal of approval for agents who have diligently trained and continue to maintain the highest standards when it comes to booking travel, it's best to book through a company that offers ATAS accreditation. Flight Centre is an ATAS accredited travel agency, which comes with a range of benefits. Booking with a Flight Centre travel consultant comes with the peace of mind in knowing that you're dealing with an expert who not only knows about all aspects of travel, but is committed to the professional standards that come with working for an industry leader. Gone are the days of sifting through seemingly countless travel options. Let a Flight Centre travel consultant do all the work for you with one appointment, phone call or email. From detailed holiday packages to a simple overnight stay, your Flight Centre consultant will not only be able to make your booking for you, but they'll be able to provide expert guidance on hotels, flights and packages that best suit your needs. Imagine having the power of every travel booking site at your disposal. Now throw in a few exclusive deals that are only available to you. This is what it's like when you book with a Flight Centre travel consultant. Flight Centre is not only able to access exclusive offers that won't be found anywhere else to ensure value and savings, but each airfare quote comes with a lowest airfare guarantee. Flight Centre consultants offer a personal touch that will not be found through other booking mediums. Whether it's tailoring a detailed itinerary to meet your expectations or providing helpful guidance on international visas or frequent flyer programs, Flight Centre provides a personalised experience that covers all aspects of booking your holiday. Flight Centre is always available to take care of you if things change or go wrong. Providing 24-hour emergency support seven days a week around the globe, you can rest assured that if you need help, you can count on our travel experts.